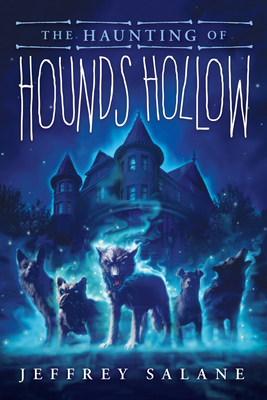 A perfectly spooky read for middle-grade dog lovers. Lucas Trainer has just moved to the middle of nowhere -- a town called Hounds Hollow, where ghostly dogs prowl at night. At first, he's terrified by the nightly apparitions. But as he slowly uncovers the mystery behind the town, he learns that a ghost dog's bark is worse than its bite... and in fact the dogs are protecting the town from an even more terrifying threat. Spooky, fun, and mysterious, this is author Jeffrey Salane's stand-alone follow-up to the Lawless series, and is perfect for fans of Miss Peregrine's Home for Peculiar Children... and dog lovers of all stripes.